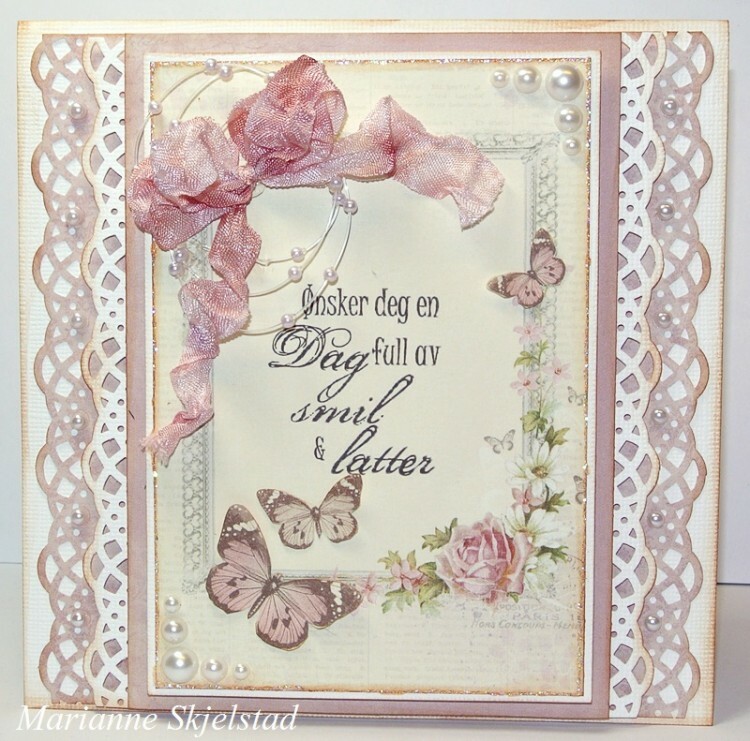 Today I have made a card using the frame Rosa 6×6″ from the Flower Frames collection. For the panels and the inside I have used matching pink papers and the panels on front of the cards are fixed by using 3D glue dots. The butterflies are from the Vintage Garden collection.